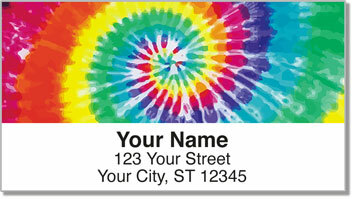 One reason bohemian types love tie dye is because, like them, every design is original-no two are ever the same. The art of tie dying has developed over centuries. In fact, the earliest written record of the use of dyestuffs in China was 2600 B.C., and tie dye as an art form was fully developed there during the T'ang Dynasty (618-906 A.D.). 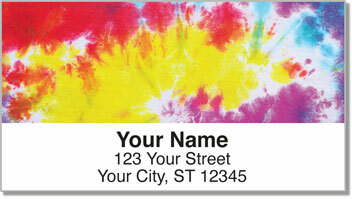 To salute the artists, both ancient and contemporary, who have perfected the labor-intensive technique of tie dying, we offer these colorful Tie Dye Address Labels. 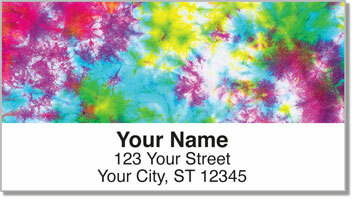 The perfect accessory to our Tie Dye Personal Checks, these convenient, self-adhesive labels will add a splash of creativity to all your envelopes and packages. You can also affix them to video games, books and other media, so your slacker friends will know just where to return your treasures. 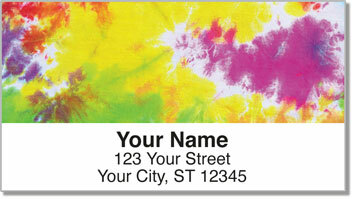 Order your Tie Dye Address Labels and matching personal checks today!